1. Garden Answers Plant (Free) - Not great at telling the difference between two similar looking plants or pests? This app will set you straight. Simply take a photo of the item and you can submit it to a team of horticultural experts who will soon identify it for you, before providing you with specific recommendations on how to resolve a problem. There’s plant recognition technology involved too, so in some cases you won’t even have to wait to learn more. 9. iGarden ($4.99) - Aimed specifically at the US market, iGarden makes it a breeze to share custom seed information with others in the same climate zone. You can keep track of compatible and incompatible plants, along with sharing advice on how best to deal with certain pests. Throughout, you can enjoy information relating to when best to plant and harvest, all customized for your location. 7. Life (Free) - A kind of journal for the green-thumbed among us, Life is a stylish app for keeping track of all the things you’ve planted. You can easily organize them within the app, before checking out instant weather updates to see how you should be adapting. Besides that, you can record various events, such as when a plant has sprouted, or when a flower has bloomed, before snapping a photo for posterity. 10. Moon Gardening ($1.99) - Taking a more traditional approach to understanding gardening, Moon Gardening determines the best times to maintain your plants, according to the current Moon phase. It offers information on the moonrise and moonset times for your location, as well as what the sun is currently doing. It then uses that knowledge to tell you when is best to sow or harvest. 8. MyGarden (Free) - There’s a social network for everything and gardening is no different, thanks to MyGarden. Through it, you can keep track of your plants and their progress, before easily sharing them with your friends to show how things are going. Photos can be exchanged to show off your handy work, plus you can keep track of ongoing tasks. 4. Garden Plan Pro ($7.99) - Replacing the need for an old fashioned notebook, Garden Plan Pro makes it simple to plan out your perfect garden. It’ll work with any shape of garden or containers, making it easy to add various arrangements of plants. Also, the app provides full growing information for over 190 plants, plus it’ll adapt to your location using databases relating to thousands of weather stations, so you’ll know the best times to plant or harvest. 6. Gardening Reference Guide! (Free) - Offering plenty of advice, Gardening Reference Guide! will inform you of the care and cultivation needs of hundreds of different flowers and plants. You can search for different species with information such as their common name and botanical name provided, along with where they’re native to, and various growing requirements. 5. Garden Tracker ($3.99) - A less expensive garden planner, Garden Tracker easily lets you plant vegetables in up to 50x50 squares, while tracking its progress, such as how many days until harvest, or reminding you how many days it has been since you’ve watered or fertilized them. Its clear, simple layout reduces worry and clutter. 3. Vegetable Tree ($3.99) - Focusing on those who want to grow a vegetable garden, Vegetable Tree teaches you all the steps from the basics of sowing, to growing and harvesting. As well as all that, it offers information on each vegetable, such as seed depth, germination soil temperature, indoor and outdoor requirements and more. You can track planting dates too. 2. Veronica’s Garden Tracker ($0.99) - This app lets you easily plan your garden visually, as well as track exactly where you’ve planted which seeds. You can check out what you’ve done over the course of the seasons and learn from past mistakes. It tracks milestone dates, and you can even record the watering schedule and soil pH history to analyze what’s happening beneath the soil. It’s that time of year again when green-thumbed folks are keen to get gardening and improve on their own little slice of nature. The really ambitious ones will have already started planting and preparing, but that doesn’t mean it’s too late to discover some great apps for making the process smoother. 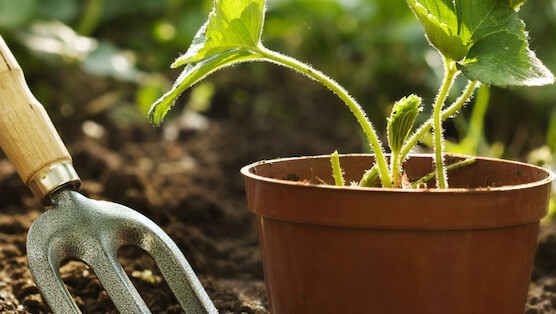 We’ve rounded up 10 essential apps for helping you learn more about your garden, as well as tracking and sharing its progress throughout the seasons.